iTunes Radio, which has hitherto been a U.S.-only affair, has just launched Down Under, the first of several key areas to be introduced to the streaming service during the opening months of this calendar year. The Cupertino company first launched iTunes Radio in the States alongside iOS 7 back in September of last year, and although the likes of Australia, Canada, the UK and New Zealand have reportedly been shortlisted as beneficiaries of iTunes Radio this side of the summer, today’s launch in Oz is the first evidence we’ve seen of said plans being put into motion. 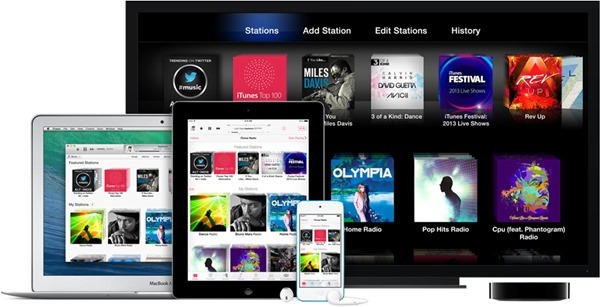 The number of streaming and radio-centric apps currently doing the rounds means that iTunes Radio is rolling out into quite a crowded market. 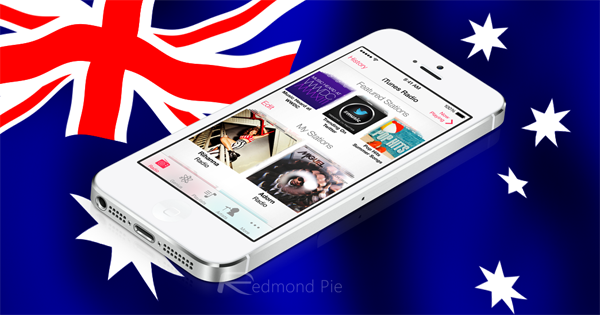 With that said, when one considers the huge catalog of music that Apple has accumulated through its long-standing iTunes Music Store – plus the stature of the iTunes name in itself – the Cupertino outfit is in a pretty strong position to push iTunes Radio, and after a solid start on home soil, will be looking to make a similar impression in Australia. iTunes Radio, for the uninitiated, is a free-to-listen radio service spanning well over one hundred different stations of varied genres. Since it uses iTunes to pick up the stuff you’re already interested in, it approaches your listening party with a personal touch, and continues to learn your specific tastes based upon music you play or download. Suffice to say, that the more frequently you listen to iTunes Radio and iTunes in general, the better able the system is to curate stations based on the songs and artists you love. Since iTunes radio is heavily integrated into the traditional iTunes, you can purchase any song you hear with just a click, and if you’re already heavily invested in the iTunes Music Store, then iTunes Radio will perfectly complement, and even enhance your listening experience. The current model iTunes Radio is absolutely free to use and listen to, but does come with some ads while you’re listening to music. If you don’t wish to be saddled with ads getting in the way of your music, then you can sign up to iTunes Match, which, for AU$34.99 per year, removes the advertisements from iTunes Radio.